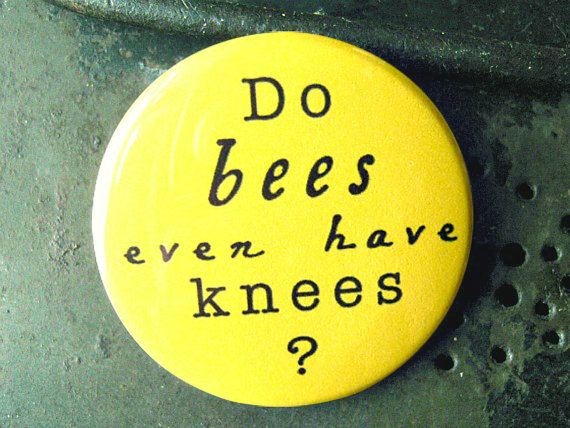 No, I don’t think bees have knees but I do – and one of them was hurting a lot. Mine started, I think, the day after DH’s heart attack – January 28, 2013. Fast forward to January 2016. I fell in the bathroom in the middle of the night and hit my left knee on the tub. I used a brace for a few days and it seemed better. Around January 27-28, I was in Walmart and had to get a produce bag that was way over my head. I had to stand on tiptoe…and my knee felt like something ripped. Thankfully, I had a cart available to use as a temporary crutch. Got home, used the brace, took Tylenol but the pain got worse. Thursday, I drove home from choir at church. My car is a manual so the act of using the clutch, extending my foot that way, made everything worse again. Friday, we went to the Limp-In Clinic in Greenbriar. That doctor was going to prescribe Cortef or NSAIDs but I couldn’t take either due to my history of Cushing’s (Cortef) and kidney cancer (NSAIDs). He prescribed Vicodin and sent me for an x-ray. January 31, I got very itchy, presumably from Vicodin so I stopped that and started taking Benadryl for the itchiness. February 2, I went back to the clinic for the results of x-rays and I mentioned the itchiness. Since I have very limited meds available to me, he recommended an Orthopedist. I called him when I got home and he didn’t take my insurance. I tried another doctor who supposedly took my insurance but they didn’t. February 7, I really needed the sleep so I took half a Vicodin. No pain and no itching. HOORAY! I was surprised that she thought my knee was swollen but one of my therapists showed me later that it was. She referred me to Physical Therapy (PT) and prescribed Ultram http://www.drugs.com/ultram.html. As of this writing, I haven’t used that yet. February 11, 8:30 am My first appointment with PT. Since my blood pressure was high, we mostly did assessments. I had a main therapist and a student. They had to use 3 types of BP machine to do this. I bent my knee and they took measurements with a caliper. I lay on my front and they manipulated my knee to see what happened. 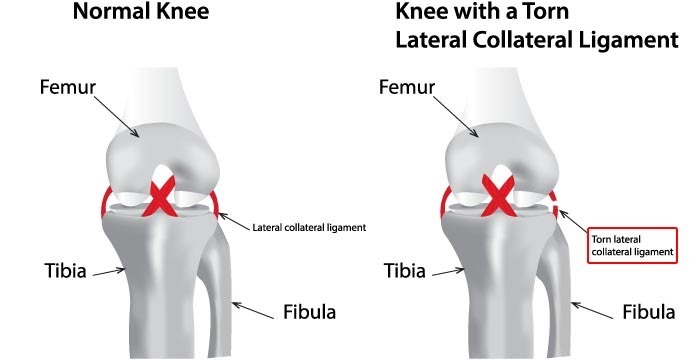 They also concluded that it was a lateral collateral ligament. A suggestion – to rest my foot on the walker without the brace and see if gravity helps my knee straighten out. After this, there was more pain than before but I know this is the right thing to do. February 13. My leg feels a bit better. I had the brace off last night and almost straightened my knee out. Somewhere in this period, I learned how to manually move my knee cap (patella) around. I saw my day 1 therapist again and he said my knee was angry. Swollen, angry, whatever. I just want a normal non-hurting knee! One of the therapists had me doing a stretching exercise and my hip was out of kilter (everything is attached!) since I’ve been walking with my knee bent. So she manipulated that back into alignment. That hurt too much so we moved to a foam roll under my knee. It was still uncomfortable but I did it, a bit too much, apparently. 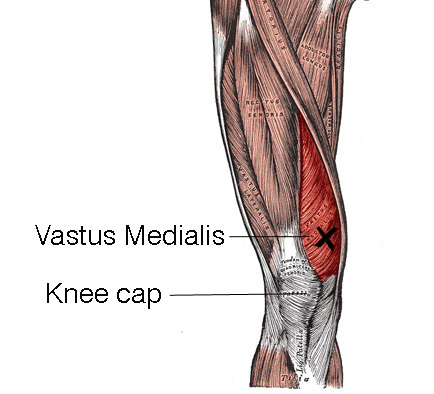 Turns out this exercise hurt my “VMO”, which is short for Vastus Medialis Oblique. February 25, My VMO pain still hurt. I told my regular therapist about it and she worked on it some. She concurred that my knee was swollen. February 26, I went all day with no brace at all!! A bit of pain but manageable. Today is February 28 and I haven’t worn the brace since the 27th. I still need assistance to get up from sitting but I can see huge improvement. I still have 6 more PT sessions, finishing on March 16, but I’m really impressed with what they’ve done for me. I still have twinges of pain and I don’t plan on stepping on tiptoe anytime soon but I can tell I’m on the right track. If there are any significant changes (I sure hope not! ), I’ll post an update. When I’m done – and have approval – I intend to keep exercising, walking, climbing stairs, riding the bike. I never, ever want to go through this kind of pain again. 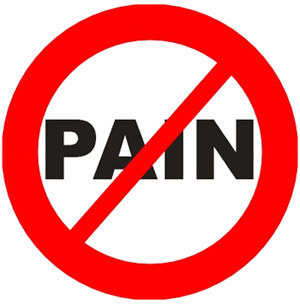 I’ve learned a lot from PT – lots of new exercises, stretching, how to move manually my knee cap, all kinds of muscle names, that the lateral collateral ligament is attached to my ankle, that ice is better than heat for this kind of thing. This entry was posted in Arthritis, Knee pain, Knees, Osteoarthritis, Other Medical and tagged Bee's Knees, Benadryl, blood pressure, brace, Cortef, cortisol, Cushing's, heart attack, hip, itching, kidney cancer, knee cap, lateral collateral ligament, ligament, Limp-In Clinic, NSAIDs, Orthopedist, Osteoarthritis, pain, patella, PCP, physical therapy, Tylenol, Ultram, Vastus Medialis Oblique, Vicodin, VMO, walker, x-ray. Bookmark the permalink.